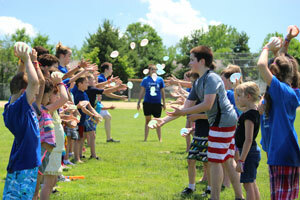 Our parishes are teaming up and getting ready for some fun this summer with Totus Tuus! Totus Tuus is a summer catechetical program offered through the diocese. This year the program will focus on The Sacraments and The Sorrowful Mysteries. A team of four college students will be coming to spend the week with our youth. The team is committed to bringing our youth closer to Christ through the sacraments, prayer, and fun! Previous Previous post: Unplanned in Osky!